As previously mentioned, anyone who currently owns the game will still keep all their existing content/progression. 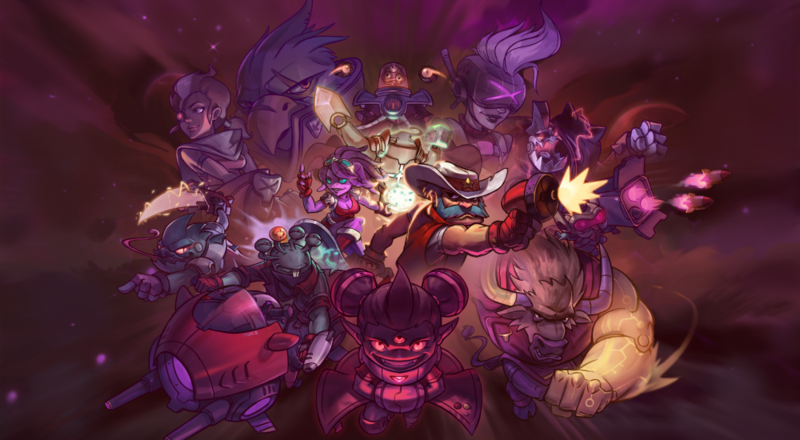 In fact, if you own the game along with the "Starstorm" and "Overdrive" expansions, you'll automatically be upgraded to that "Awesomenauts All Nauts Pack" and be given access to all future characters for free. Not a bad deal. If you're interested in checking out the new changes but don't own the game, then there's a beta for which you can sign up, or you can just buy the "All Nauts Pack" on Steam for $25. Awesomenauts goes free-to-play on PC on May 24.